Don't leave the Florida Keys without exploring Bahia Honda State Park’s warm crystalline waters, shallow sandbars and old railroad trestle bridge. 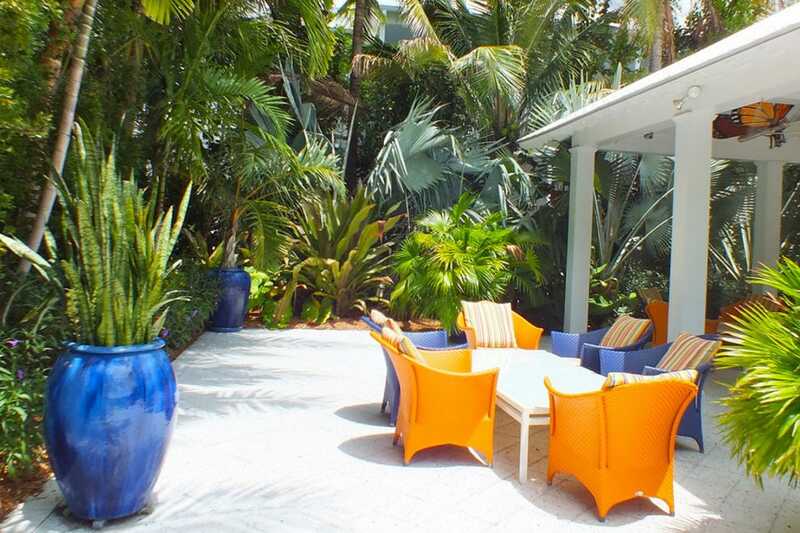 When making your Key West travel plans, you may wonder, what makes a resort stand apart from a hotel? At a glance, it can be hard to tell the difference, but learning the distinction can ensure you get the right type of lodging at the right price. Many resorts are destinations in and of themselves like Sunset Key, a private island where even the rich and famous go to escape. In the Conch Republic, most of these properties are waterfront and expand over numerous acres such as Casa Marina. Its 1,100 feet of pristine beach has been attracting celebrities and dignitaries since the 1920s. 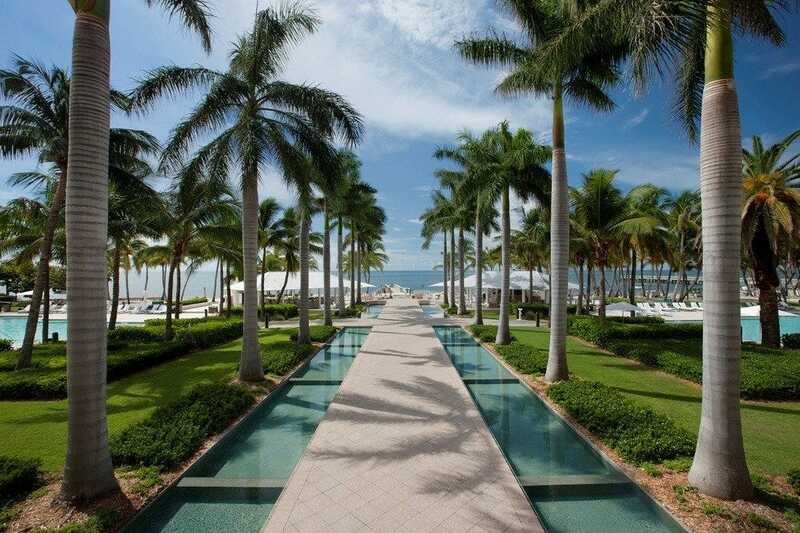 There’s an emphasis on luxurious pampering with attentive staff, on-site spas and world-class restaurants like Ocean Key Resort with its SpaTerre and Hot Tin Roof. You’ll also discover special amenities and activities like beach and pool service, nightly entertainment, tiki bars, deluxe toiletries and watersports equipment. Count on cushy decor with stunning views, balconies, whirlpool tubs, cozy furniture and sumptuous bedding. 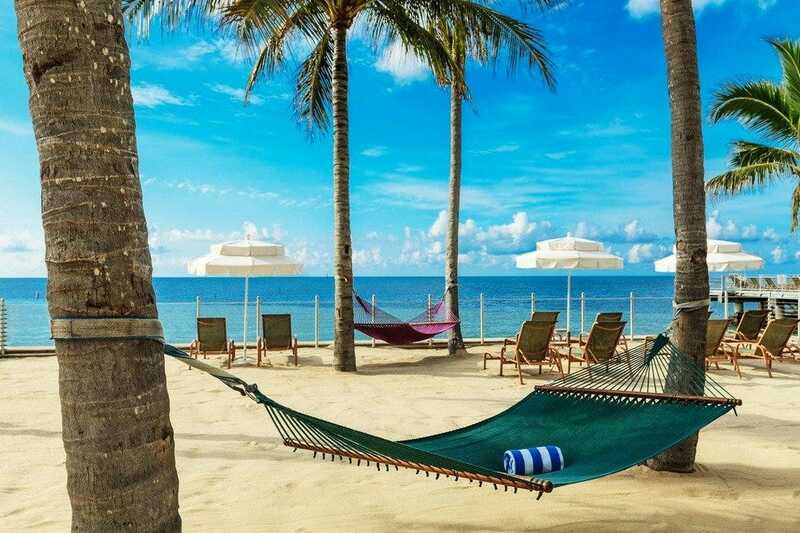 Note that Key West doesn’t have all-inclusive resorts like the Caribbean, but with a little research, you can find packages and specials to help knock those luxury prices down a notch. If you're ready to upgrade your vacation, here are our top picks for the ten best resorts in Key West. Opened in 2008, this five-acre property located on the Gulf of Mexico resonates with a "Floribbian" vibe. The 148-room resort features spacious rooms and suites with a choice of garden and water views, and their three-bedroom villas are ideal for families. 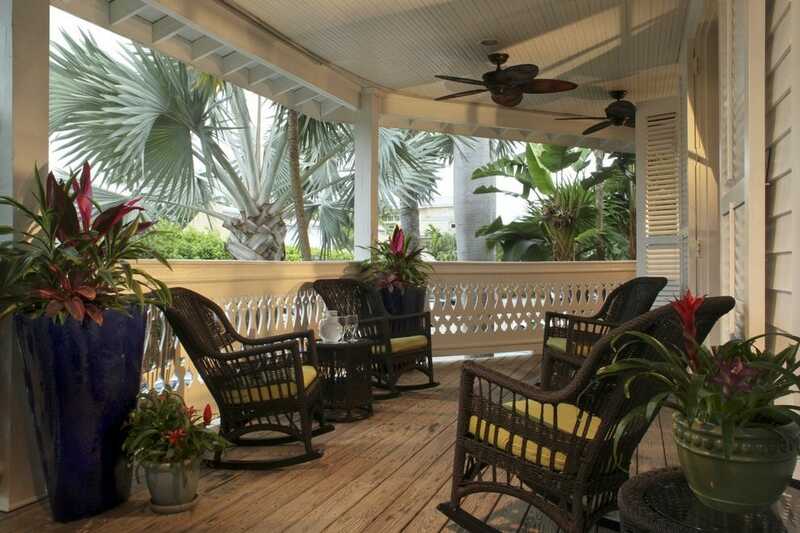 Each has a patio, porch and/or balcony and features tropical interiors with original art. Set among lush landscaping and palm groves, four dramatic, secluded swimming pools are each nestled in its own garden paradise. Enjoy casual island dining and refreshments poolside at Café Blue. 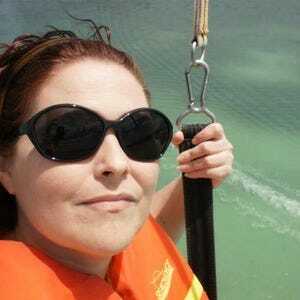 Although it's located two miles from Duval Street, the resort offers a wealth of activities to keep guests busy, including kayak, paddleboard and wave runner rentals. Other amenities include a fitness center and Wi-Fi across the property. Who doesn't like being greeted with a warm freshly baked chocolate chip cookie? At the DoubleTree, their friendly staff offers this tasty welcome in a very distinct lobby, filled with a 2,500-gallon, 10-foot tall saltwater aquarium teeming with local marine life. Offering 216 rooms and suites, many with poolside balconies and spa tubs, the resort offers amenities such as flatscreen televisions, coffee makers, mini refrigerators, Wi-Fi and work desks. 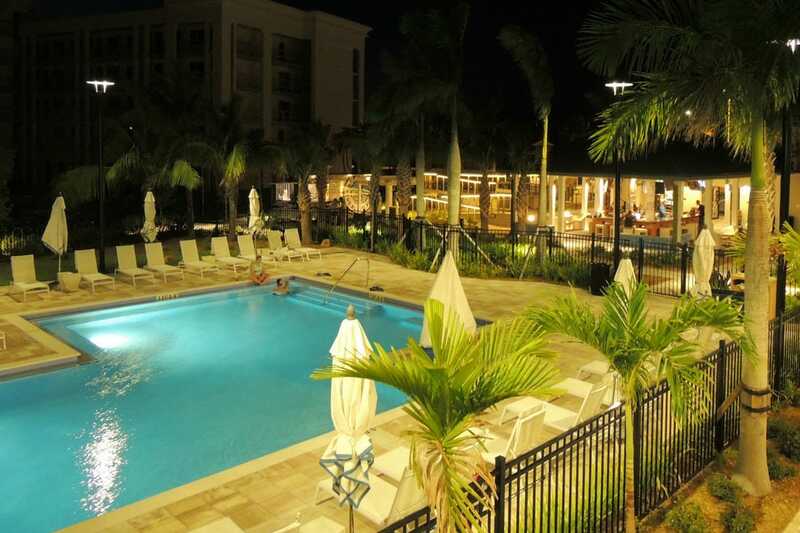 On the outskirts of Key West, DoubleTree provides the resort experience at more affordable prices, and their free shuttle whisks you to all the action whether the beach, airport or Duval Street. Start your day with a hearty breakfast at their Palm Haven Restaurant. Spend the morning chilling by the pool on one of the large sunbathing decks; hit the tiki bar for frosty libations. 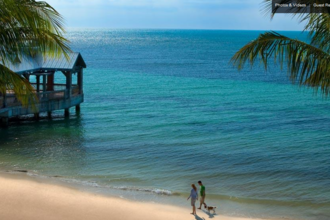 For animal lovers, the resort is pet-friendly with a non-refundable deposit. This new boutique hotel at the entrance to Key West has partnered with local businesses, artists and designers to capture the unique character of the island. Their Rum Row bar features handcrafted cocktails made with Key West First Legal Rum Distillery, and at the Rodriguez Cigar lounge, smokers can enjoy the locally hand-rolled stogies. A permanent food truck, The Blind Pig, serves Conch fusion breakfast, tapas and bar snacks. The spacious rooms capture a beach feeling through whitewashed walls, floors and bed frame paired with pops of color from well-placed accessories and photos from local artist Jorge de la Torriente. Designed for the modern traveler, Wi-Fi is available across the property, and outlets are plentiful. In keeping with the clean contemporary aesthetic, all the information about hotel amenities, menus and local attractions has been loaded onto a Samsung tablet for in-room use. 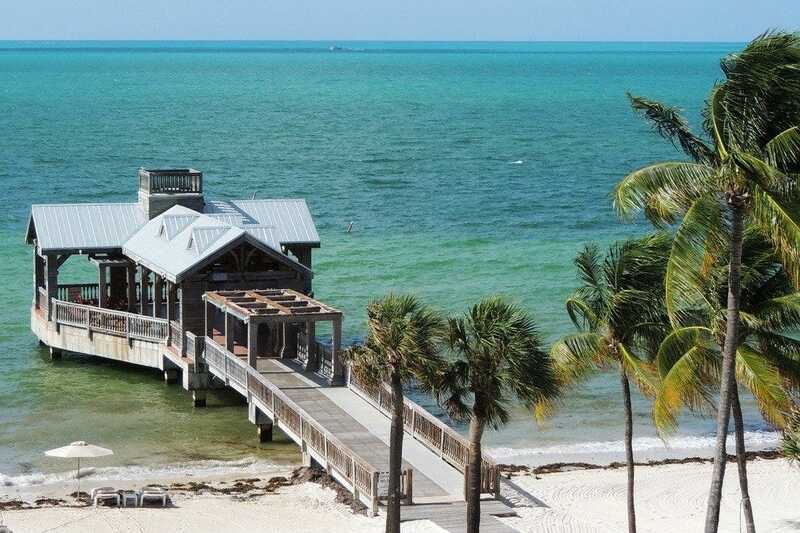 The Pier House has all the ingredients for a perfect Key West vacation: waterfront views, private sandy beach, variety of dining options, award-winning spa and prime location near Mallory Square. 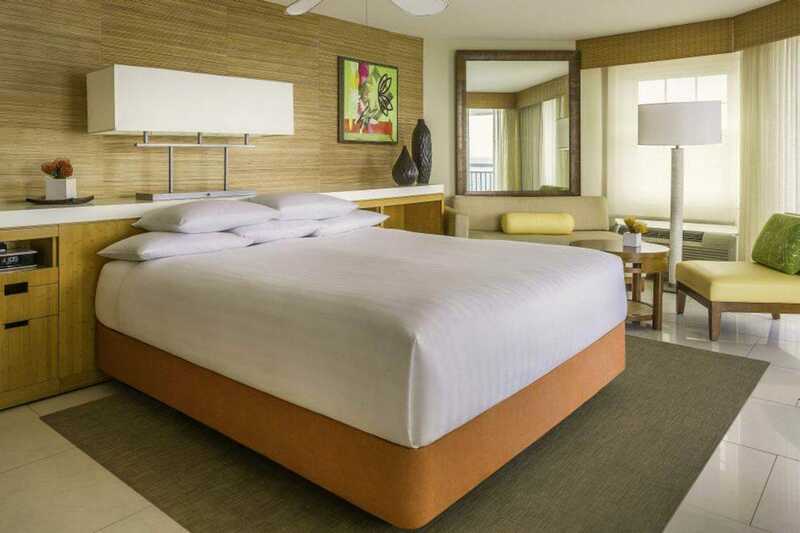 Their 119 waterfront guestrooms and 23 expansive suites are decorated in a distinctly Florida fashion, with a mix of wicker and dark wood custom furniture, four poster beds, warm tropical colors, large tiled bathrooms, rain-style showers and local art. Dining options include a casual Caribbean cafe, a beachside bar and an upscale restaurant. Don't miss the Chart Room, their quirky dive bar. Other amenities include free Wi-Fi, beach and pool service with lounges and complimentary water, daily live music and a floating dock. They recently added the Duval Cruiser, guaranteed to save you some shoe leather. This complimentary shuttle takes guests down Duval Street to the resort's two sister properties La Concha and Southernmost House. Located on the Gulf of Mexico, the Hyatt Key West Resort and Spa offers 118 rooms with private balconies--many with water views. Other amenities include flat screen televisions, sumptuous Grand Beds, Wi-Fi and mini fridges. Plus several hypo-allergenic rooms are available, allowing allergy sufferers a good night's rest. Dine at the award-winning SHOR American Seafood Grill with its jaw-dropping views and focus on locally-sourced ingredients or kick back at the Blue Mojito Bar and Grill with their namesake cocktail. Relieve some tension at the Jala Spa, named for a Sanskrit word for water, with treatments inspired by the potent beauty and dynamic energy of Key West. While the resort is pet-friendly, check their website for restrictions and non-refundable pet fees. Be sure to also visit the resort's specials page online, as many spa and activity packages are bundled together with multiple night stays at reduced rates. 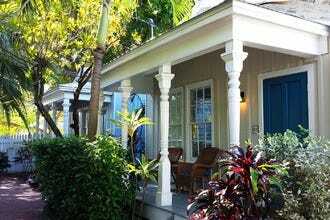 On the less-crowded end of quirky Duval Street, rests Southernmost Beach Resort, an upscale (yet unpretentious) hotel. It boasts a private pier, sandy beach dotted with hammocks, oceanfront pool, Shores Bar and on-site restaurant. The rooms feature an understated modern decor in blue and neutral tones paired with stately dark wood furniture and nautical touches. 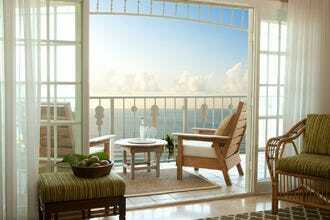 Enjoy your morning coffee on a waterfront balcony while watching the sun rise from beneath the Atlantic's waves. A $25 resort fee gives you property-wide Wi-Fi, in-room bottled water daily, access to the fitness center, use of South Beach rental beach chairs and umbrellas and the use of beach towels on property. Since it's part of the Southernmost Hotel Collection, guests are also able to enjoy the Pineapple Bar and two additional pools (one adults-only) at the adjacent Southernmost Hotel. Check their website for specials and discounted rates for booking early. This elegant boutique hotel boasts a large private natural-sand beach and a picturesque pier with a gazebo extending over the Atlantic. A Waldorf Astoria Resort, The Reach combines a casual atmosphere with top-notch customer service and amenities like private balconies, Wi-Fi, Nespresso coffee machines, iPod docking stations, mini-refrigerators and a fitness center. Located at the quiet end of Old Town, the property also features other fun activities like a life-size chess game, bocce ball court and watersport rentals. Relax in a lounge chair and let their staff pamper you with towels, popsicles, frozen eucalyptus towels and cocktails. On-site dining is available all day on the oceanfront veranda at Spencer's By the Sea. 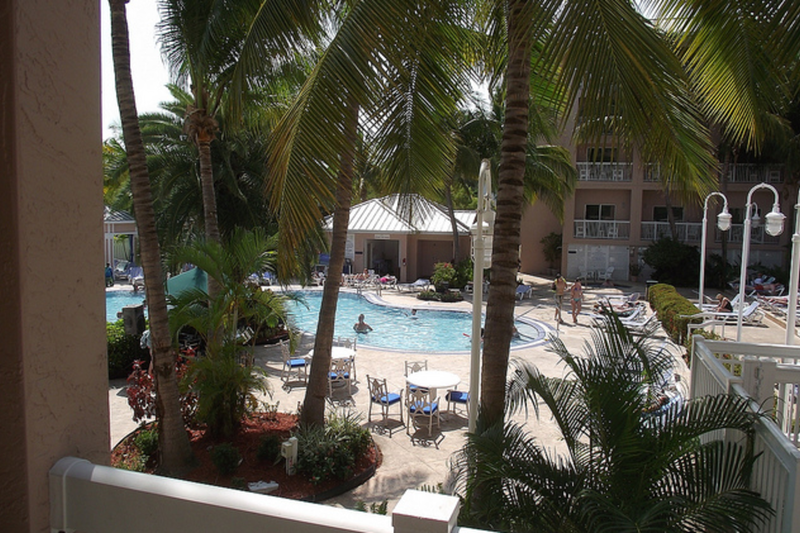 Guests receive reciprocal privileges at the sister resort, Casa Marina, just a few blocks away. There you can enjoy another sandy beach, two pools (one adults-only), Sun Sun restaurant and Spa al Mare. Not far from Higgs Beach, and its lengthy pier (prime for watching the sunrise) is Casa Marina, a mansion-style resort that boasts 1,100 feet of private beach. This timeless beauty, listed on the National Register for Historic Places, has been attracting celebrities and dignitaries since the 1920s. Indulge in a deep-tissue massage at their spa, and experience the resort's signature toes-in-the-sand dining at Sun Sun. A Waldorf Astoria Resort, Casa Marina combines a casual atmosphere with world-class customer service. Their 311 rooms and suites--many with water views--boast amenities like WiFi access, espresso machines and iPod docking stations. When you're ready to hit the water, their pool and beach concierge has you covered with chaises, umbrellas and towels. Additional perks include fresh fruit, popsicles and chilled eucalyptus towels. Guests receive reciprocal privileges at the sister resort, The Reach, just a few blocks away. Conveniently nestled between Key West Harbor and Mallory Square, Ocean Key Resort & Spa is the epitome of barefoot elegance. 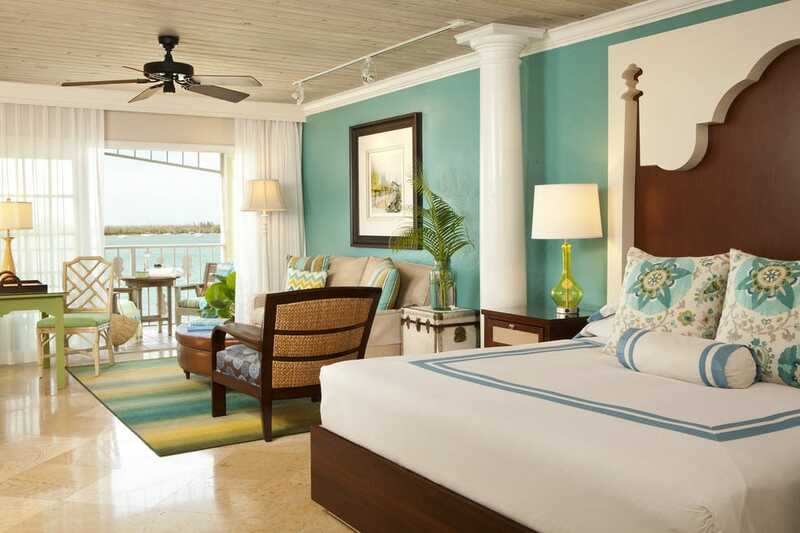 Their spacious rooms and suites offer understated tropical decor and luxurious comfort like whirlpool tubs and their own Spa Terre bath products. Large furnished balconies offer stellar views of the Gulf of Mexico or Mallory Square. Spend your days at LIQUID, their private pool, bar and lounge or head to the colorful Sunset Pier for casual dining and drinks. The upscale Hot Tin Roof restaurant offers Conch-fusion cuisine like lobster cocktail, pork empanadas and caramelized grouper. Don't miss their popular weekend brunch with unlimited mimosas and bloody Marys. At Spa Terre, Global Rituals like the Javanese Royal Treatment offer the utmost pampering. 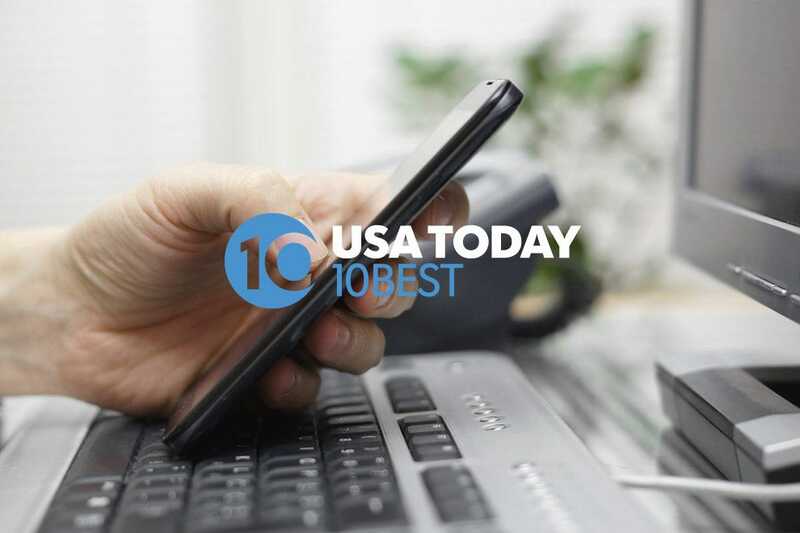 A $15 daily resort fee includes Wi-Fi, Liquid Lounge chilled pool towels, daily newspapers, in-room coffee, fitness center and off-site beach towels. For the ultimate getaway, board the ferry in Key West for a quick cruise to Sunset Key, a secluded 27-acre island. 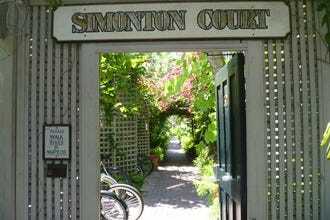 Dotted with 40 two-, three- and four-bedroom cottages, this recent addition to the Luxury Collection is laced with footpaths leading to private beaches, fitness center, two tennis courts, basketball court and zero-degree entry pool. The well-appointed cottages capture the essence on Conch architecture with porches, pastel wood finishes and Victorian-style tin roofs. Guests are welcomed by the resort's signature cocktail, frozen-sweet treats and personal concierge service. Each morning a breakfast basket, packed with freshly baked muffins, orange juice and a newspaper are delivered to your porch. Pamper yourself at their spa with treatments that include rejuvenating massages, body wraps and facials. At their on-site restaurant, Latitudes, feast on the local seafood artfully prepared by Chef Todd Holender, whose seasonal menu focuses on island fare with a Caribbean flair.